Choose the box that's dressed up inside and out! 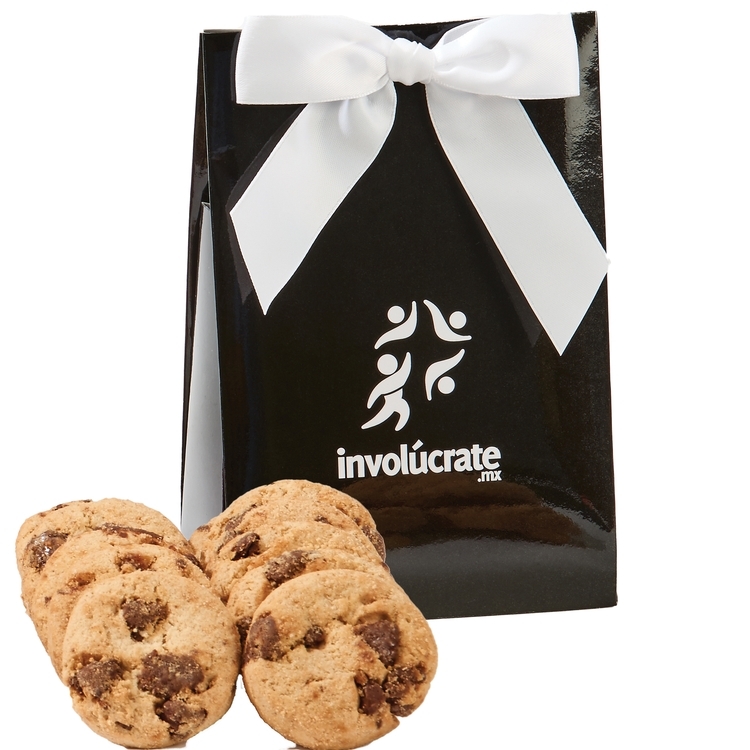 This gala box includes gourmet chocolate chip cookies. The glossy exterior is an indication of the premier treats to be discovered inside. Choose from a variety of fills. These bakery items are a great corporate food gift for Christmas and the holiday season.